Shearling went on to be made champion and reserve overall. At the Black Isle Show this year was the National Cheviot Show with a huge entry from all over the country. The champion was a ewe from the Borders with the reserve being another ewe from the Borders from the same class. Biggest class of the show was the ewe lamb with 42 forward. Badanloch got second in this class and also second in the two shear ram. 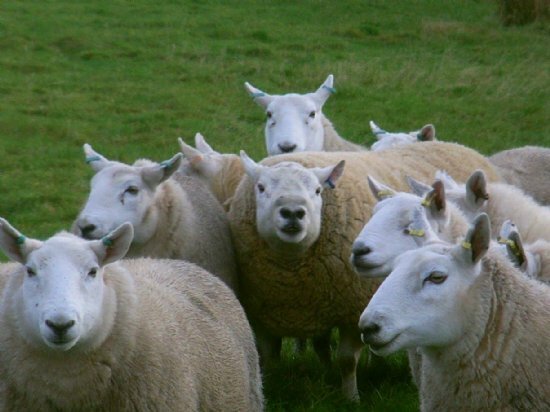 Wethers sold to a top of £56.50, ewe lambs to a top of £88, 669 lambs sold to an average of £54.44, up £3 on the year. Rams sold to a top of £1300 to Midgdale, Bonar Bridge, £1200 to Erribol, £1100 to Clebrig. They averaged £800. Ewes sold to a top of £145 for a pen of 100, second top price of the sale, highest price from Kildonan Strath and a record for Badanloch, the next pen sold for £100 per head.